Akshay Kumar wrote: "My favourite part of every day, my daughter shaving me at the sink, precious moments. Happy Birthday my princess. 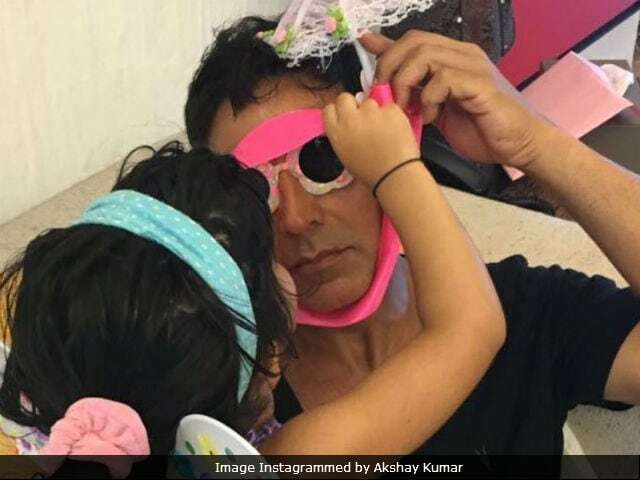 One request, please dont grow up"
Actor Akshay Kumar's daughter Nitara is celebrating her fifth birthday today and nothing could have been better for the little one than to receive such an adorable gift from her doting father. Akshay Kumar posted a super cute video featuring himself and her five-year-old daughter, which will definitely delight the Khiladi's fans. In the video, Nitara can be seen shaving her father at the sink and Akshay is enjoying being pampered by his 'princess.' Not only this but also Akshay has a special request for Nitara. The 50-year-old actor has asked his daughter not to grow up. This literally took our heart away. Akshay captioned the video: "My favourite part of every day, my daughter shaving me at the sink, precious moments. Happy Birthday my princess. One request, please don't grow up." 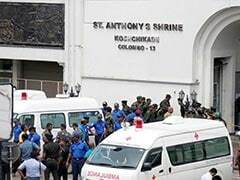 Akshay Kumar has been married to actress-turned-writer Twinkle Khanna over 16 years and the couple also have a son, Aarav, who recently celebrated his 15th birthday on September 15. Akshay and Twinkle never fail to please their fans and always keep them updated about the family's whereabouts. On Aarav's birthday, Akshay and Twinkle posted special wishes for their son on social media. Twinkle Khanna is a former actress, who is best known for her role in films like Baadshah, Joru Ka Ghulam, Jab Pyaar Kisise Hota Hai and Mela. She is now an author of two bestsellers - Mrs FunnyBones and The Legend Of Lakshmi Prasad while Akshay Kumar, who received a great response for his film Toilet: Ek Prem Katha is currently busy in his projects like Gold, Padman and 2.0.